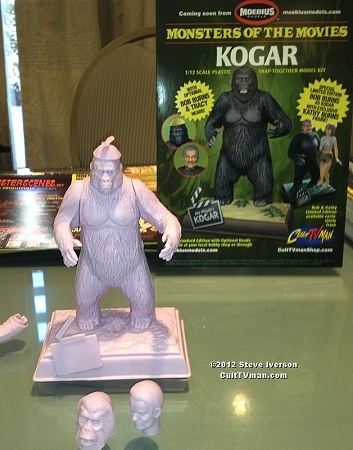 Beauty and the Beast - Bob and Kathy Burns is a deluxe version of the Mighty Kogar Monsters of the Movies kit. It is limited to 125 kits, and each kit is signed by Bob and Kathy. 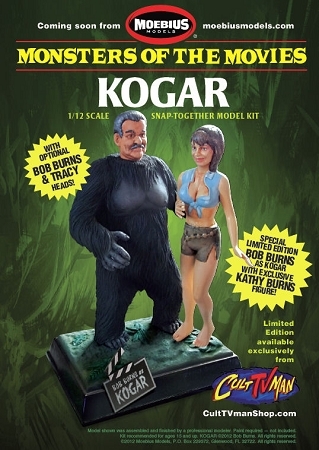 This model set features a second figure kit of Kathy Burns, the woman behind the man in the ape suit. The Kathy Burns figure is styrene plastic and resin, with Kathy's likeness sculpted by Ray Santoleri. This special, limited edition kit is a CultTVman Exclusive.